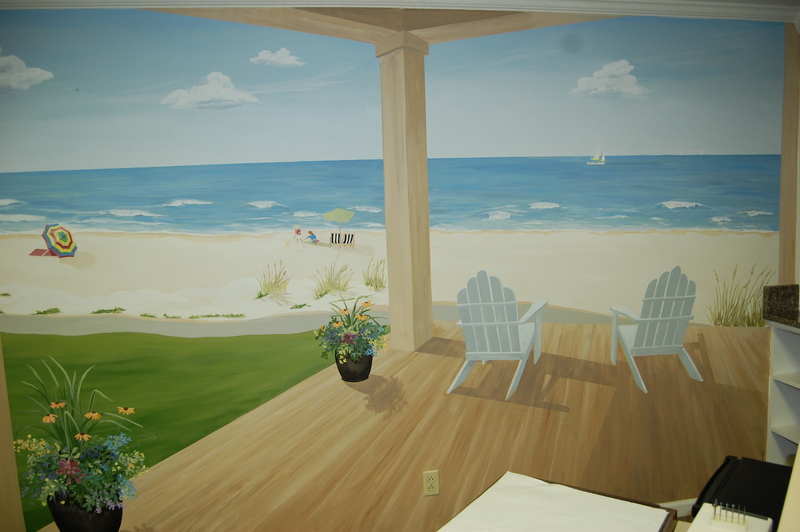 In October I had the pleasure of repainting and adding to a mural I had done in 2001! 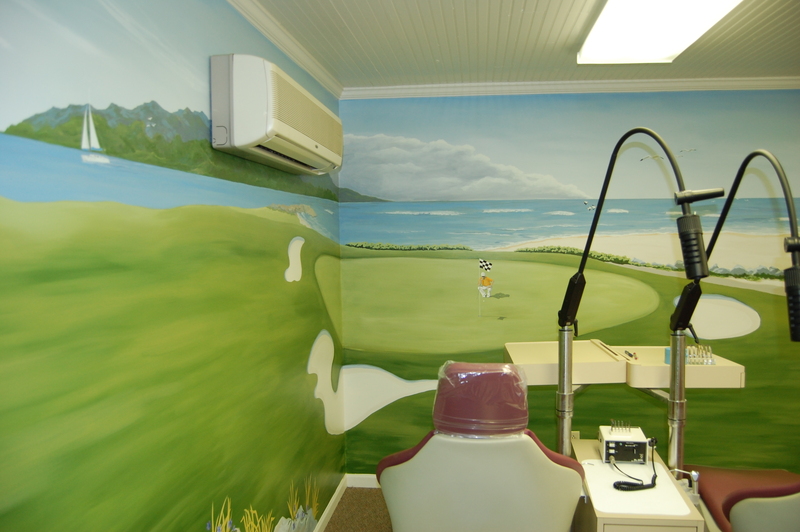 Eleven years later it was fun to expand this gaming mural to an adjacent wall as well as give a second coat a little different look to the walls of this orthodontic office. Beach fun and golf were the themes for these lol walls. The left side of beach beginning the golf theme. Fairway on the adjacent wall.